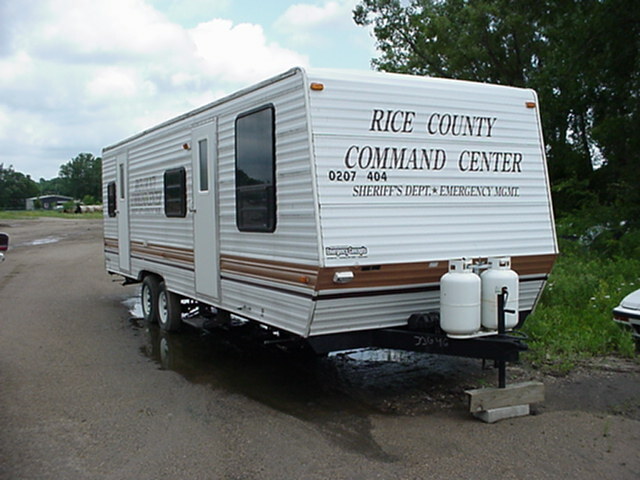 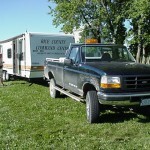 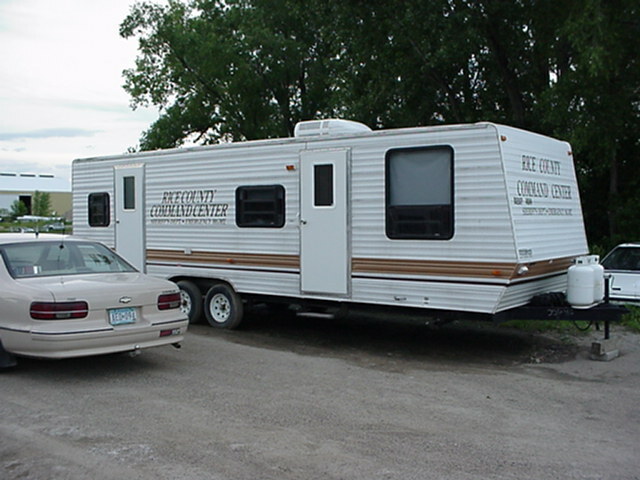 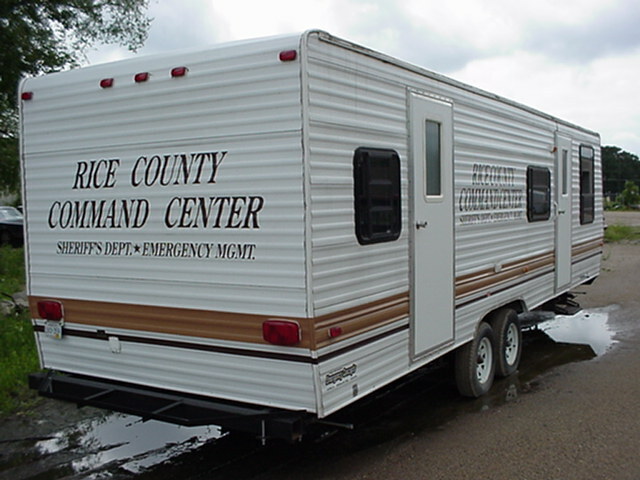 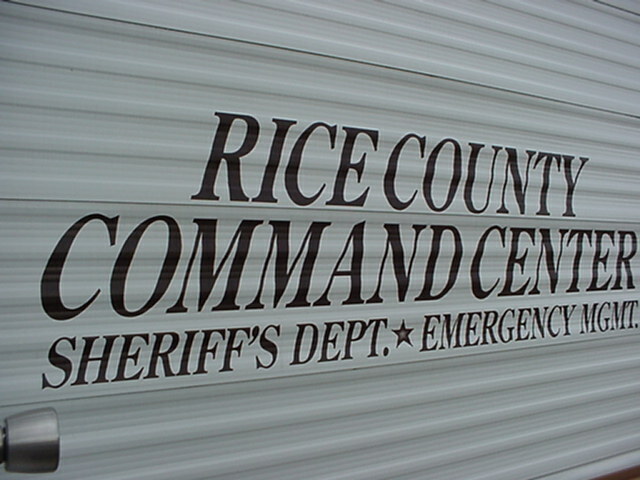 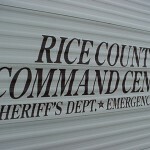 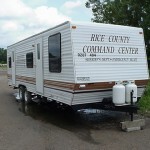 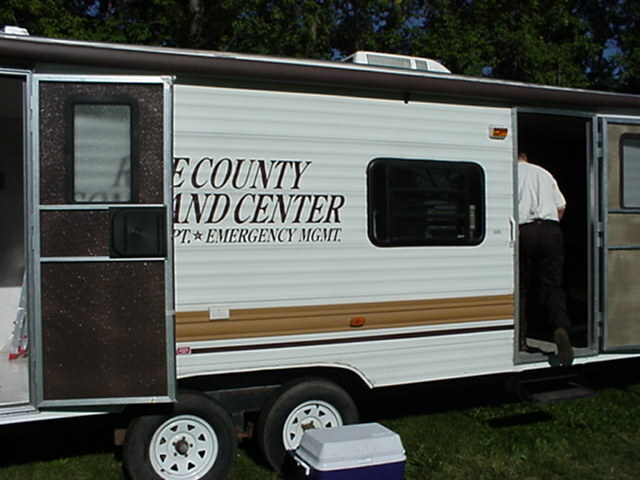 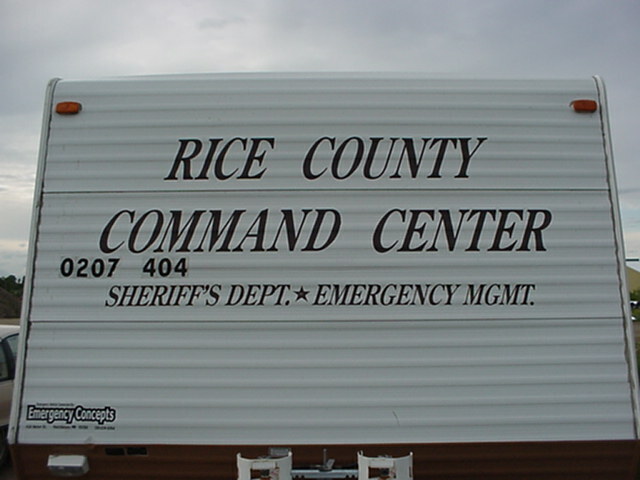 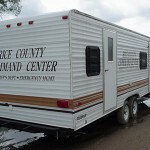 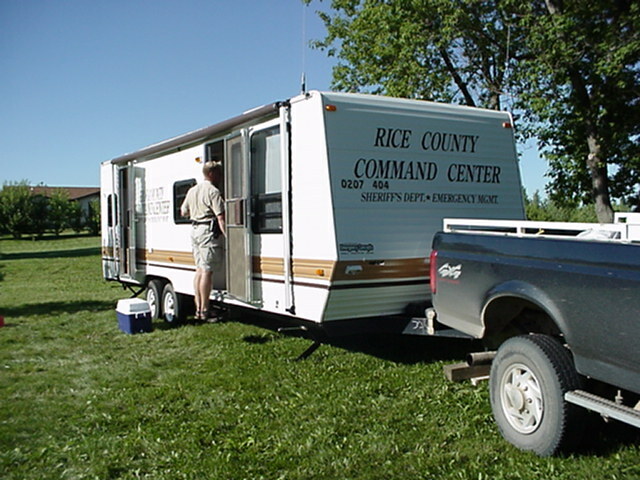 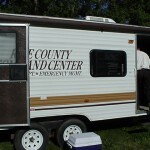 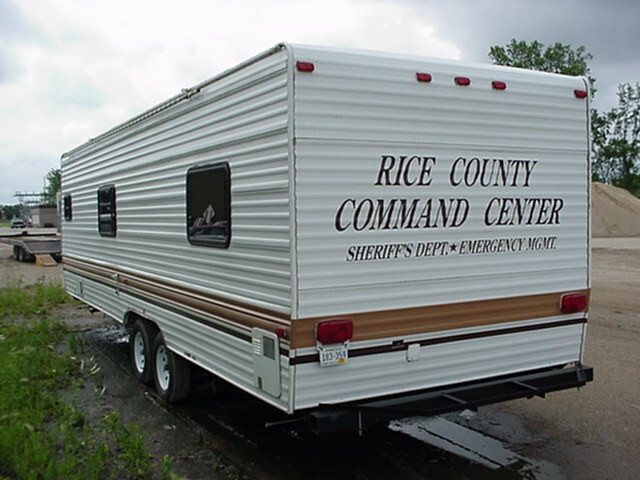 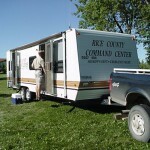 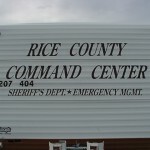 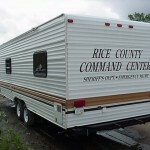 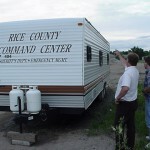 The purpose of the Rice County Command Center is to offer a mobile, roaming environment to carry out command, finance, logistics, operations, and planning during emergencies and special events. 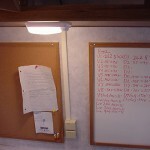 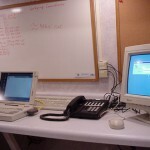 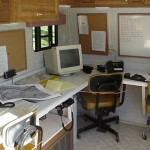 The data and voice outlets are provided at areas inside and outside the Command Center, so phone service or access to the computer network can be had at several convenient places. 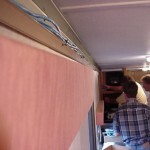 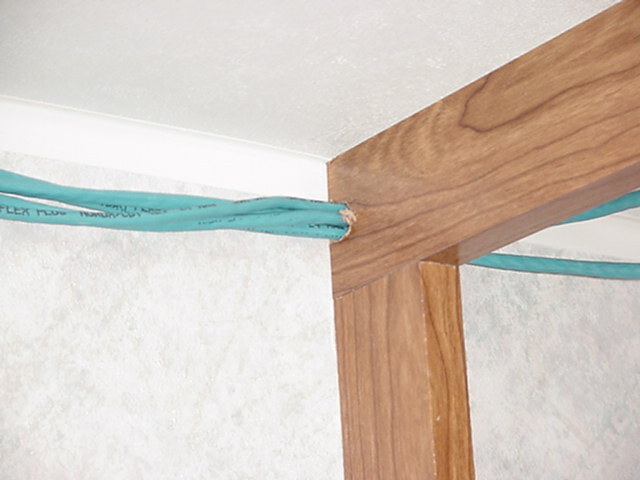 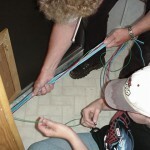 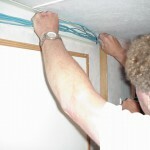 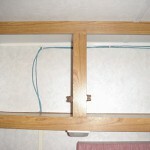 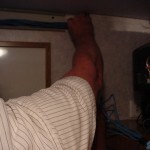 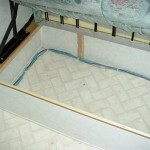 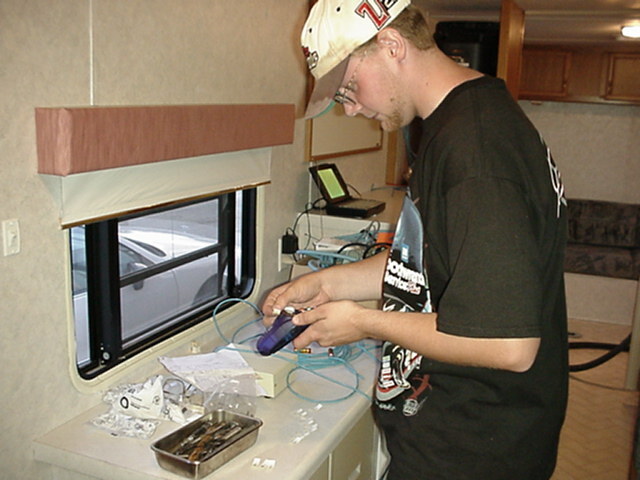 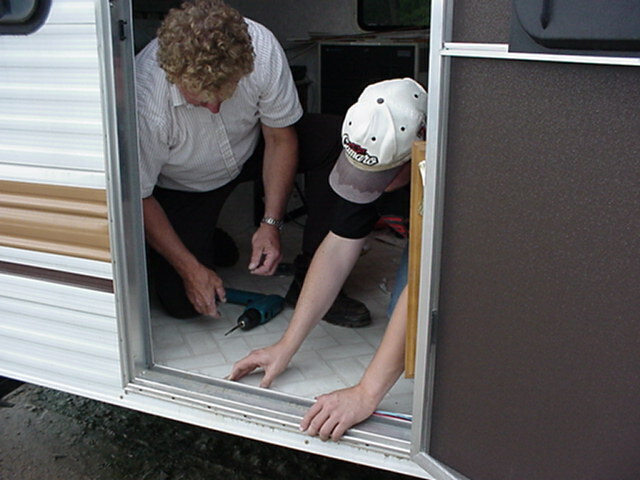 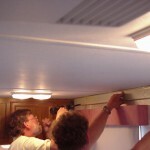 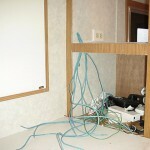 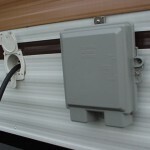 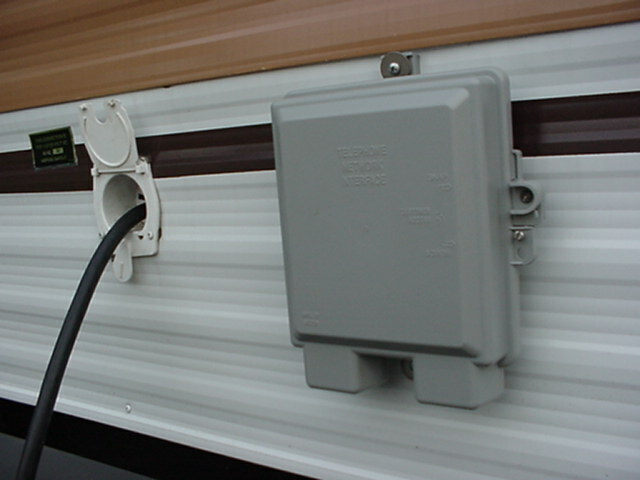 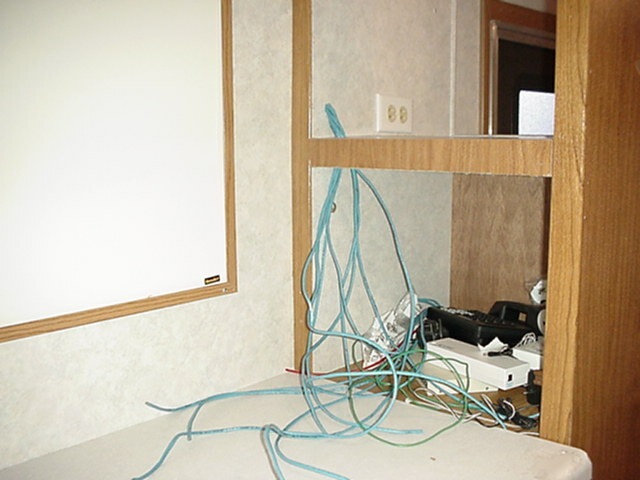 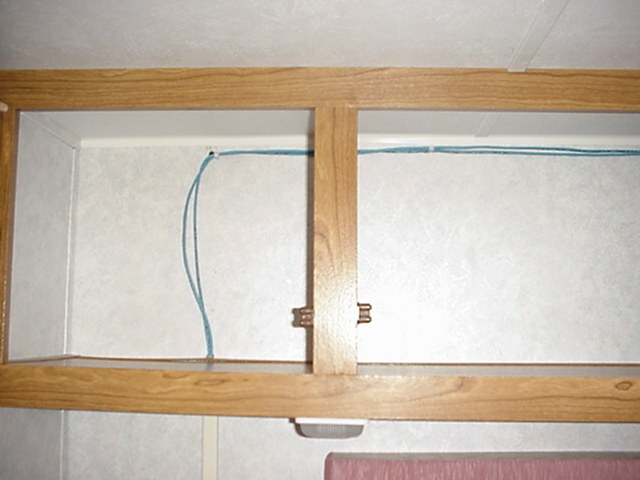 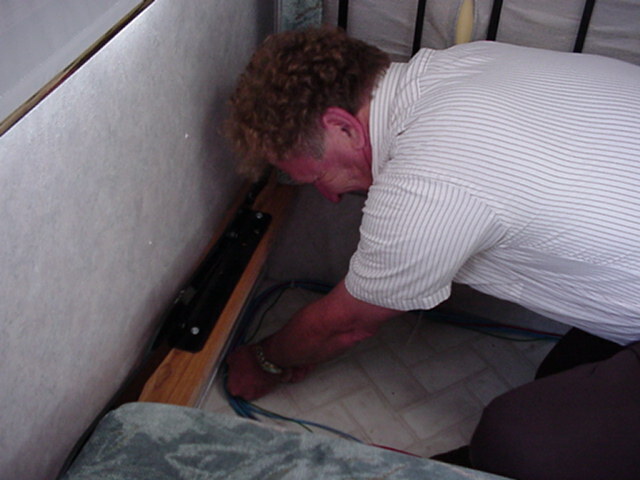 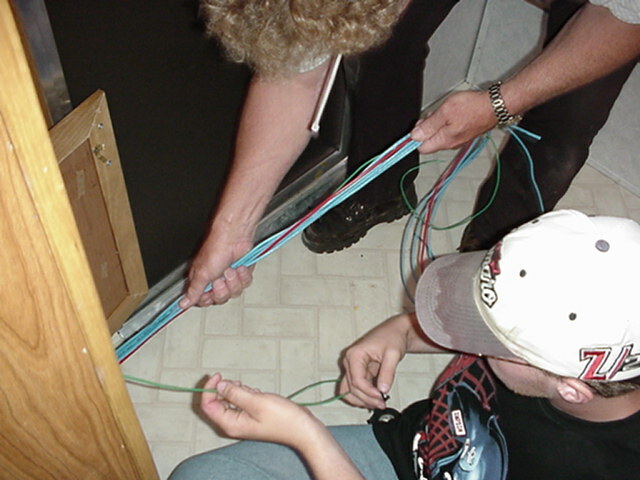 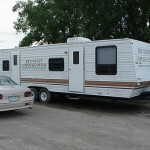 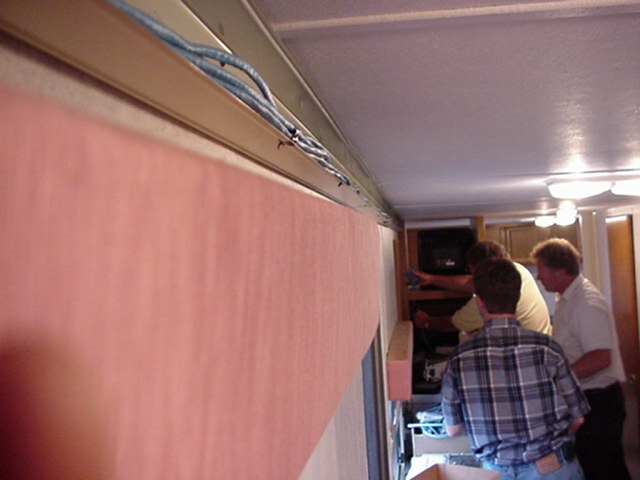 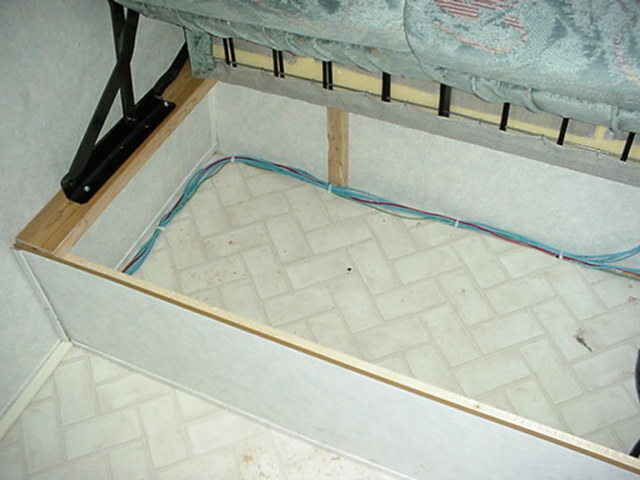 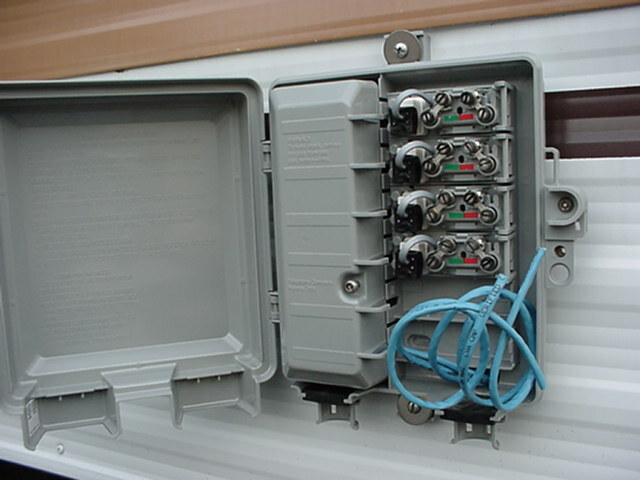 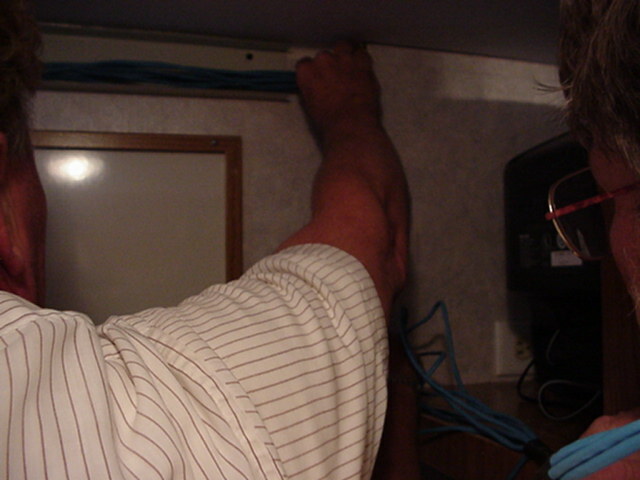 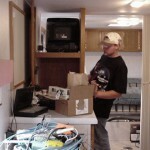 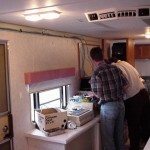 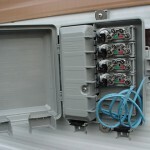 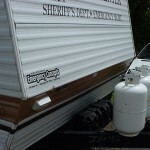 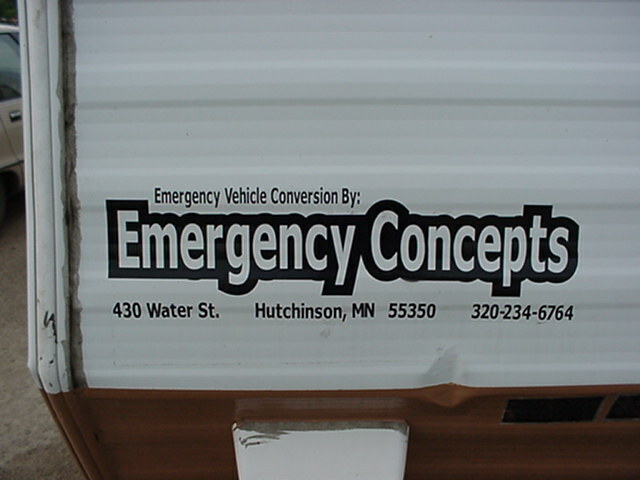 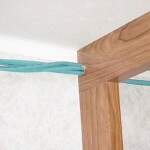 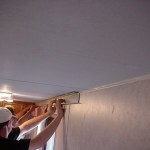 The Data backbone allows the capability of the trailer to be connected to the Internet, or any standard Ethernet network. 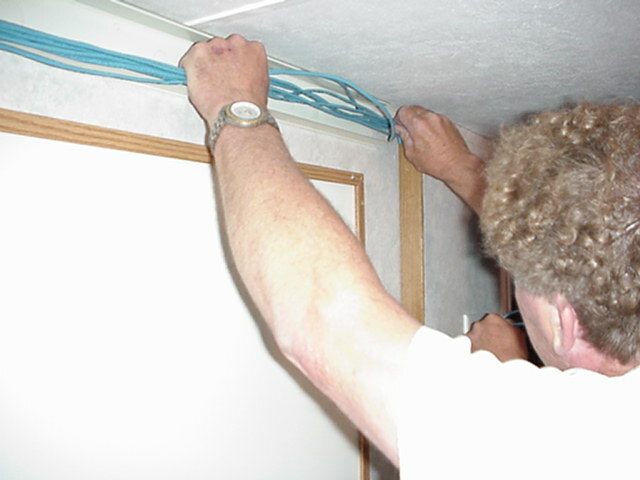 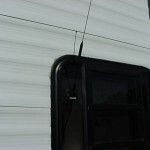 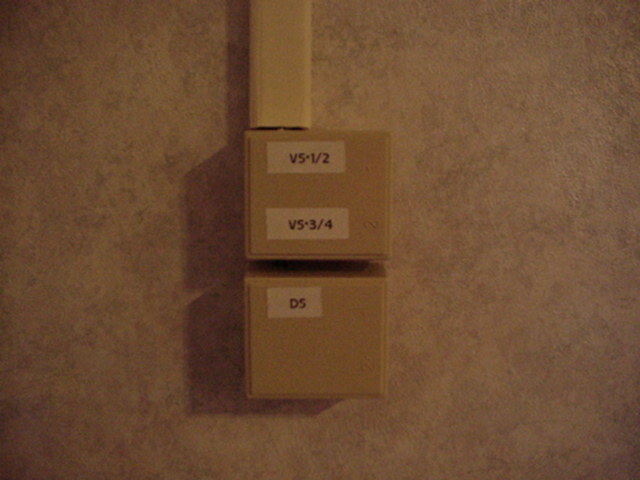 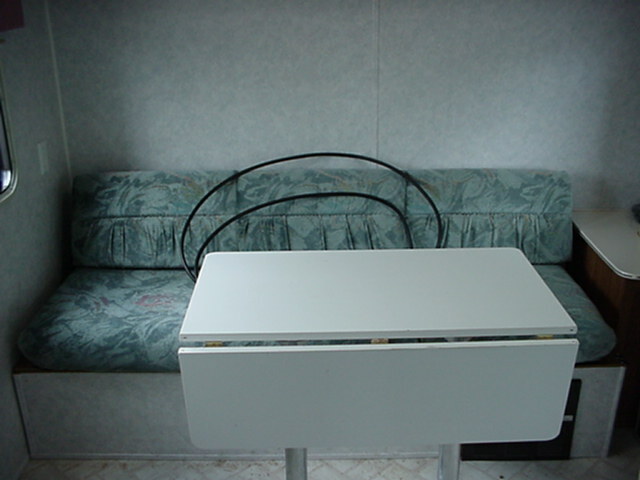 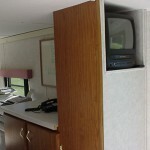 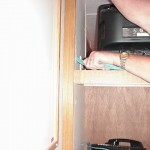 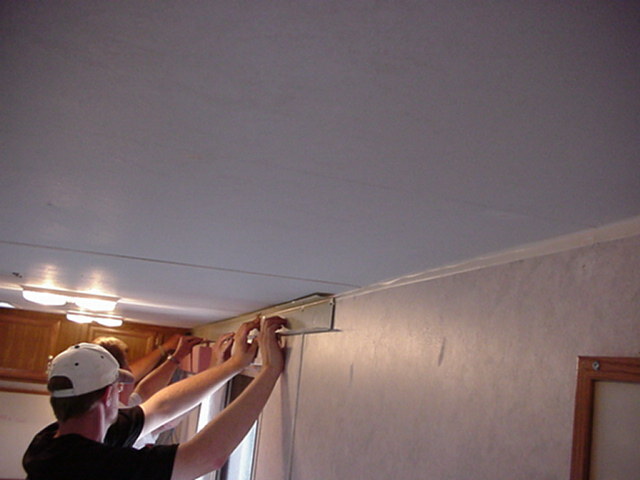 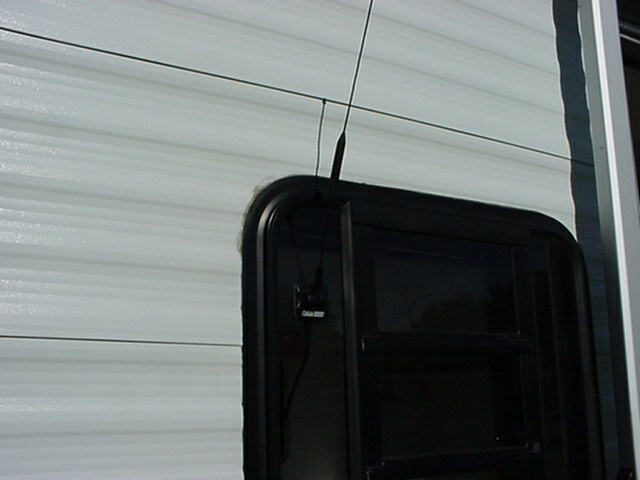 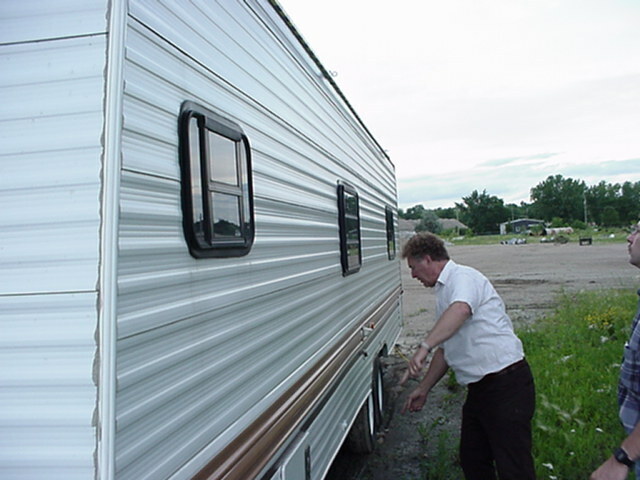 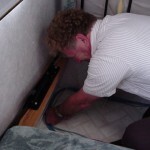 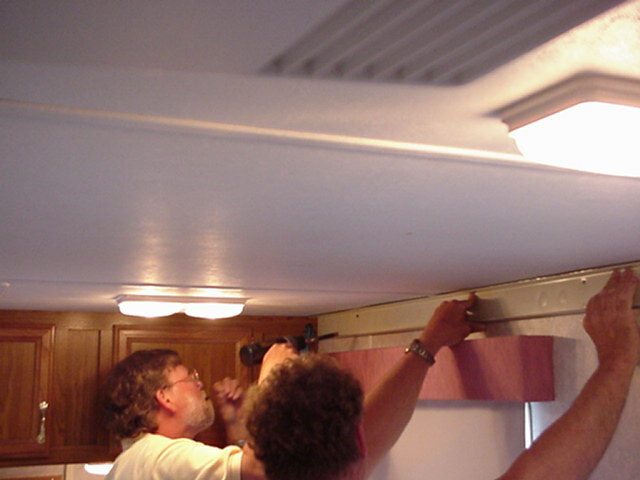 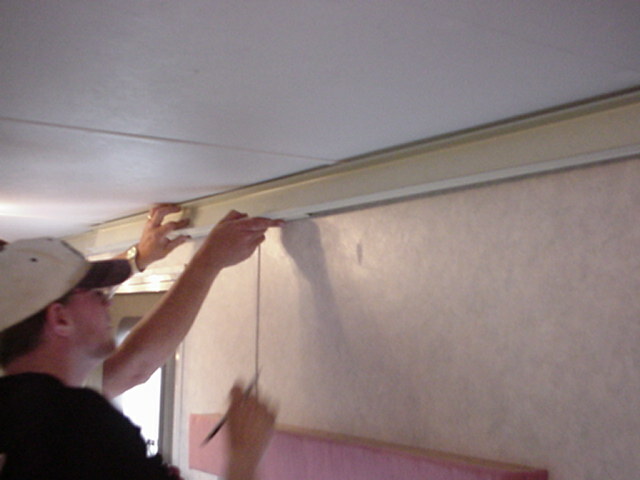 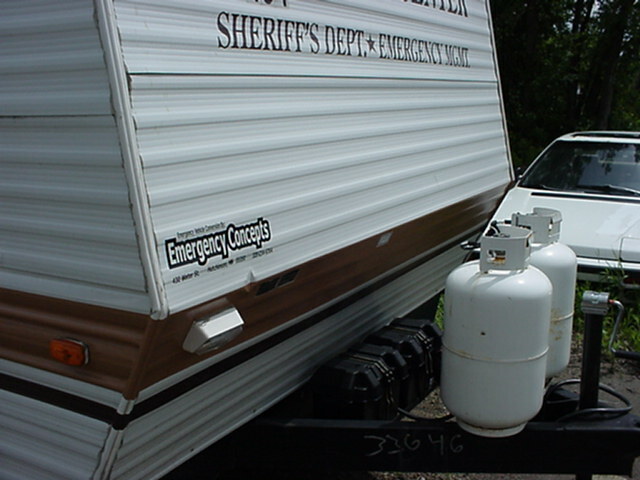 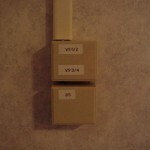 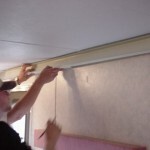 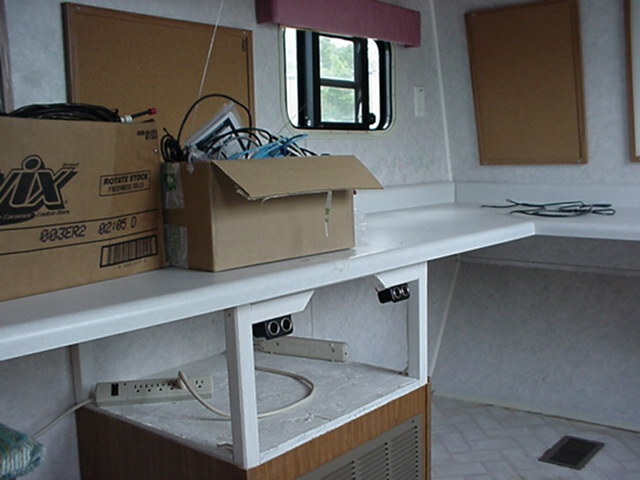 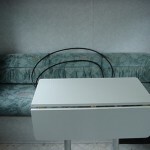 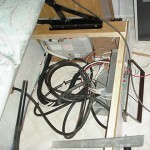 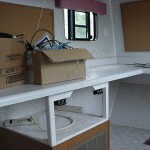 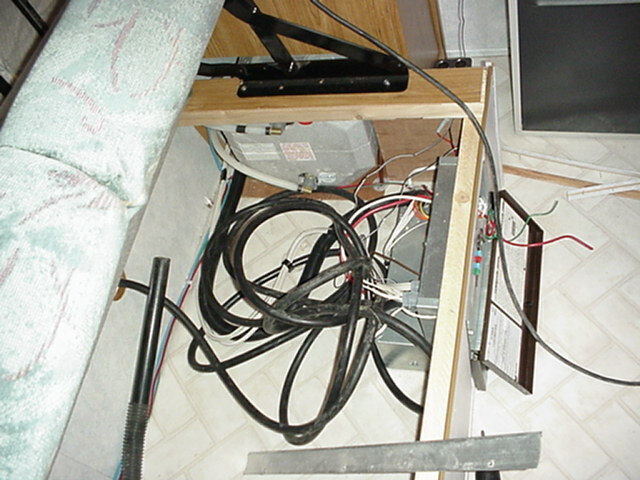 The Voice backbone allows the distribution of 4 standard telephone lines throughout the trailer, to activate the telephones and the fax machines. 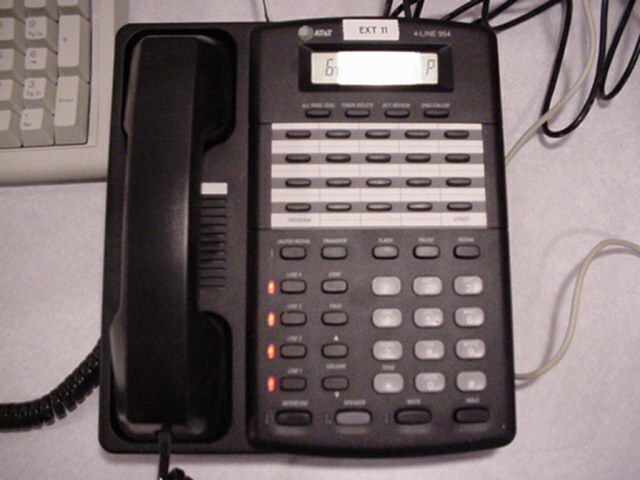 The AT&T Model 954 Speakerphones offer the ability of any personnel to use any of up to 4 incoming phone lines. 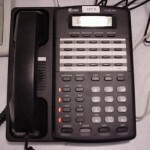 A central phone system is not required with these phones, but the Model 954 still provides the ability to transfer and conference calls. 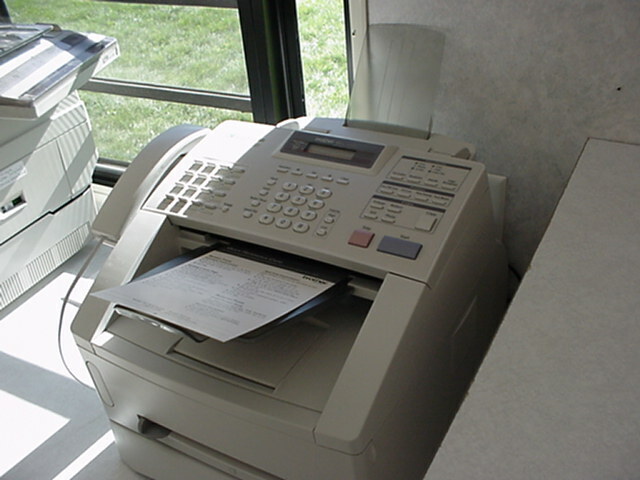 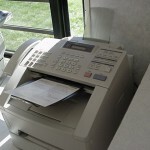 The Brother Fax Machine, Copier, and Laser Printer allows the Command Center to receive and send facsimiles, make copies of needed material, and make hardcopies of computer documents without the need for separate units. 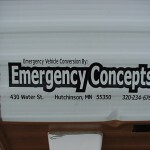 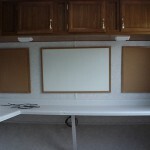 This helps save on space within the trailer. 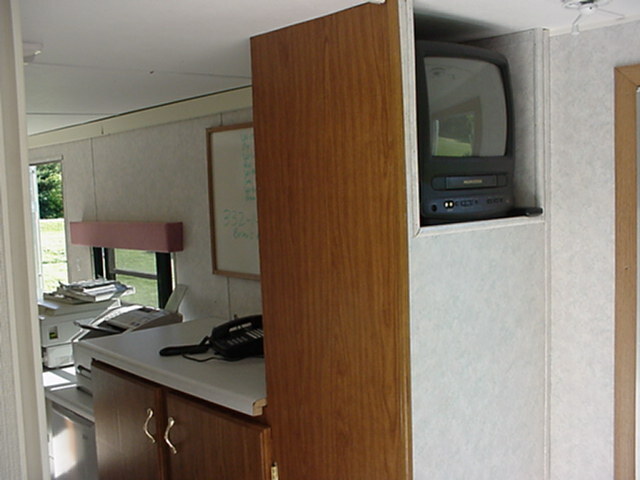 The Television/VCR Combo is present in the Conference Room, and can also serve as a Video Display for systems such as an Amateur Television system, to display live video footage from any ATV-equipped video camera. 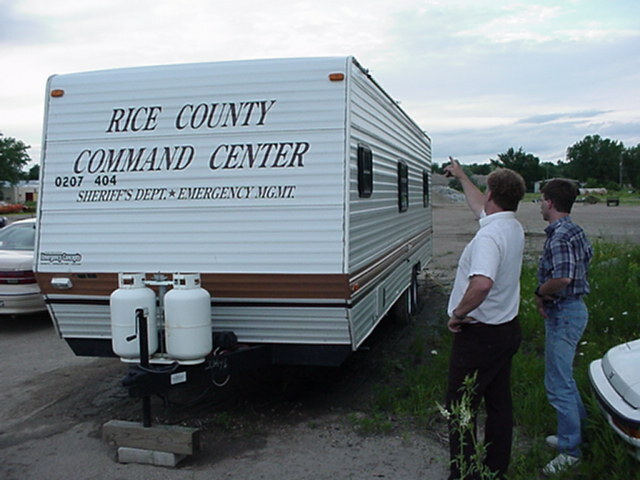 The Motorola transceivers offer personnel the ability to communicate with the Rice County Law Enforcement Center, as well as any radio-equipped police, fire, or sheriff’s vehicle. 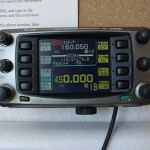 Frequencies are programmed in for other cities in case Mutual Aid is needed. 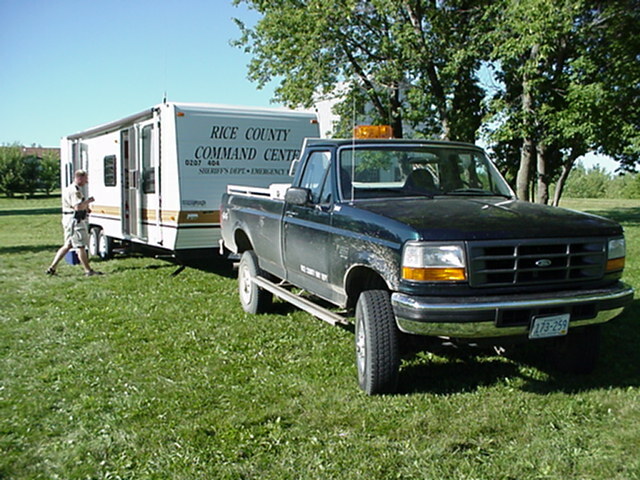 The Icom Amateur Radio Transceiver is used by Amateur Radio Operators, including the Amateur Radio Emergency Response Team group, to provide supplemental and backup radio communications. 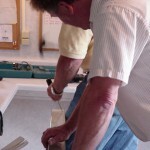 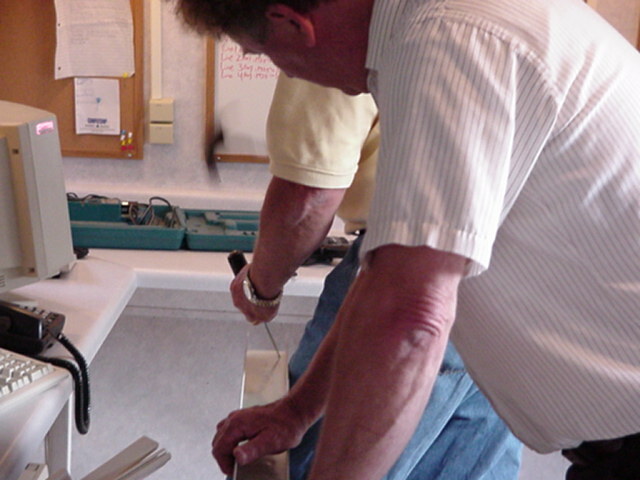 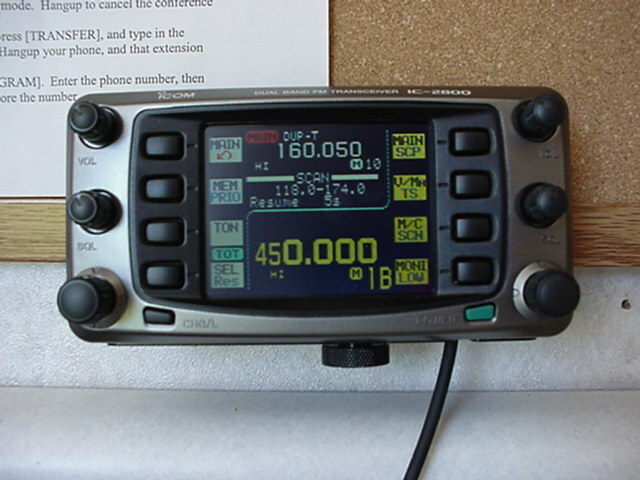 The local Amateur Radio Repeaters can provide a large talk distance and can also be used to call in Mutual Aid. 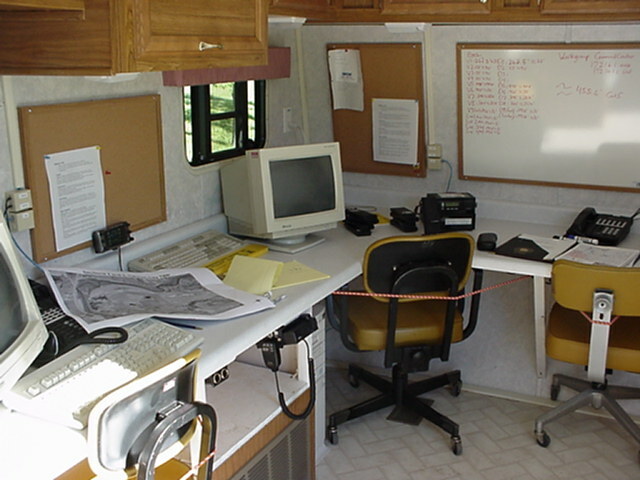 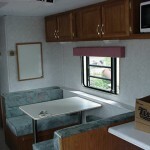 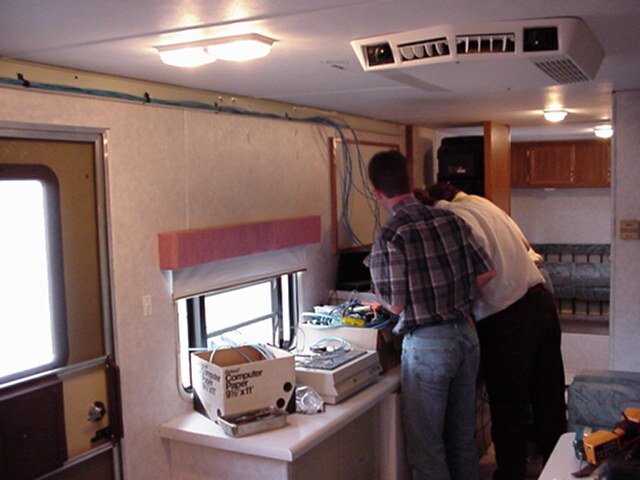 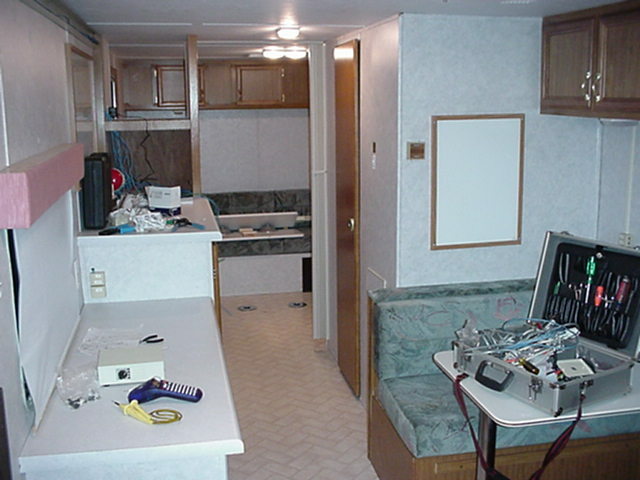 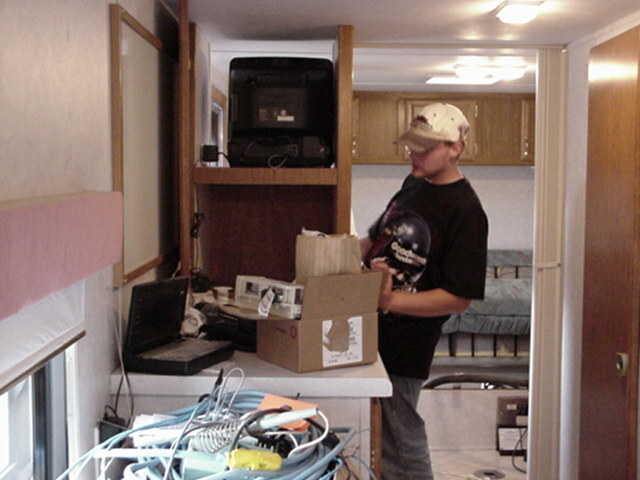 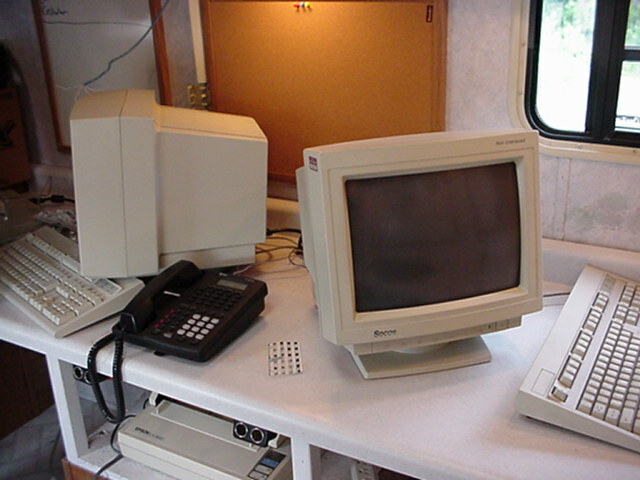 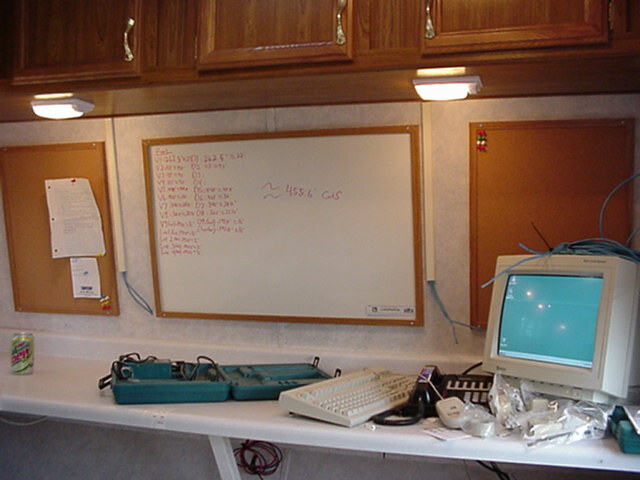 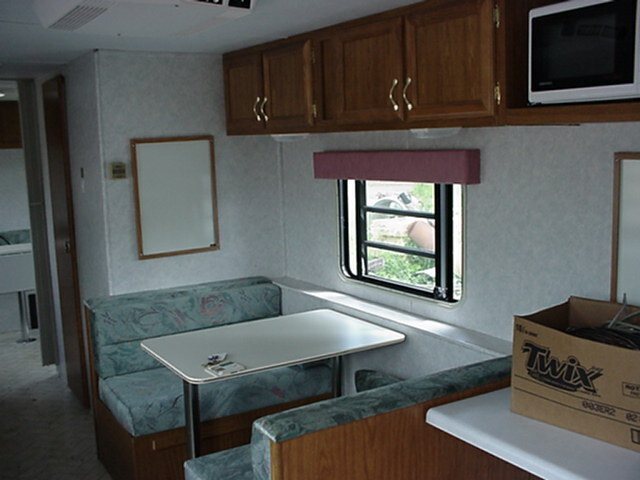 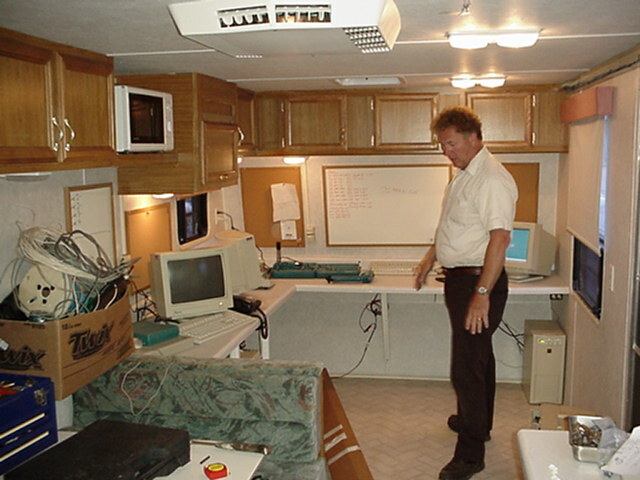 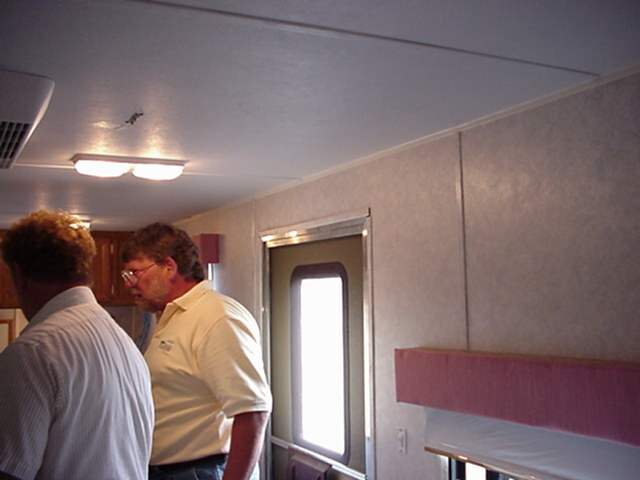 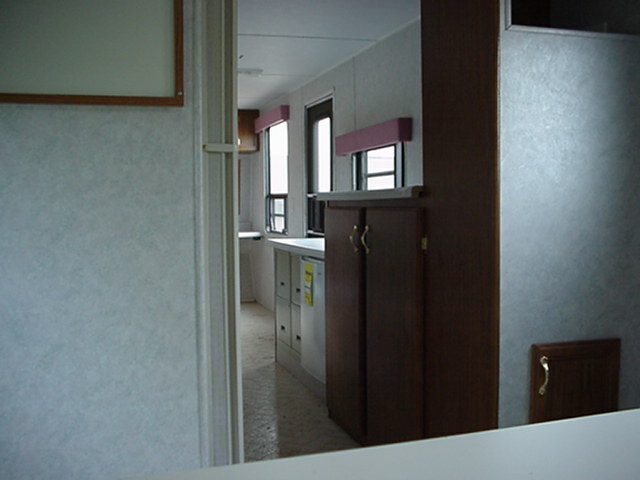 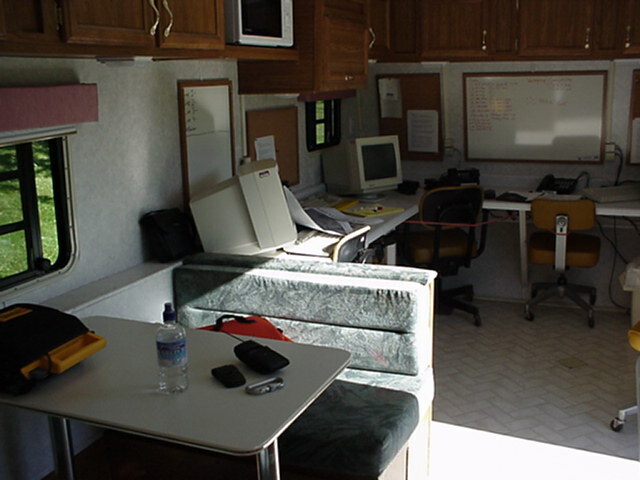 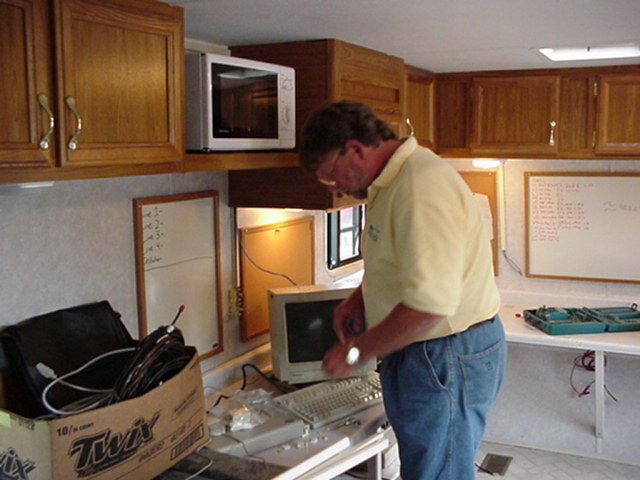 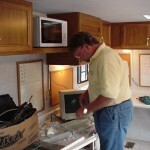 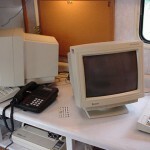 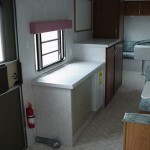 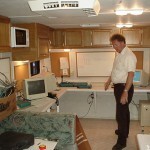 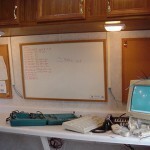 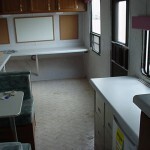 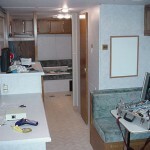 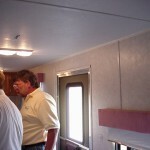 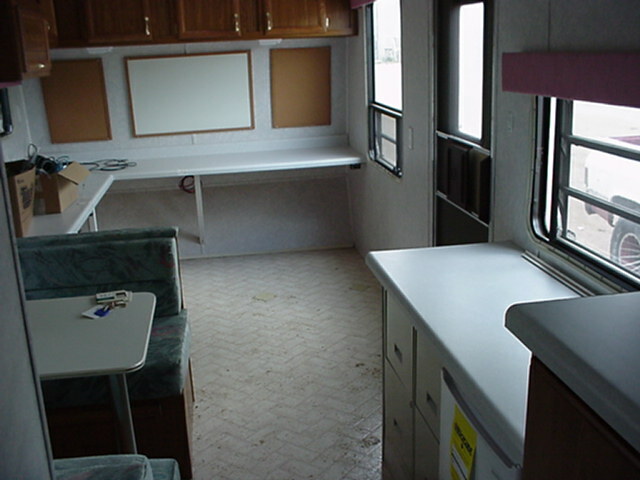 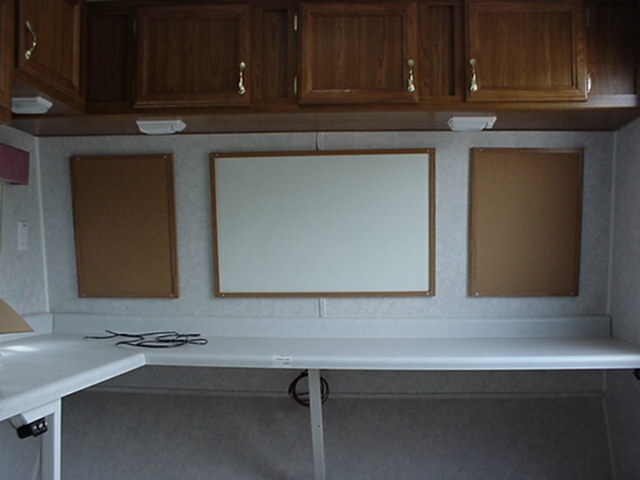 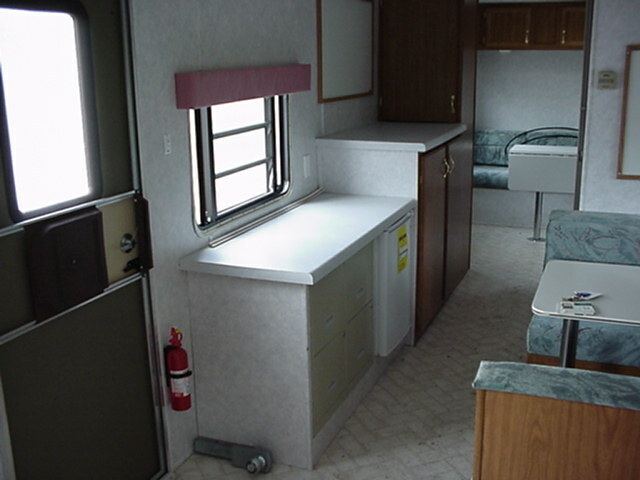 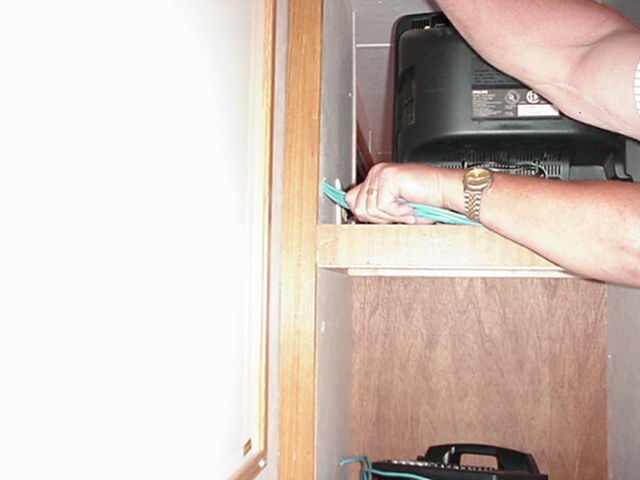 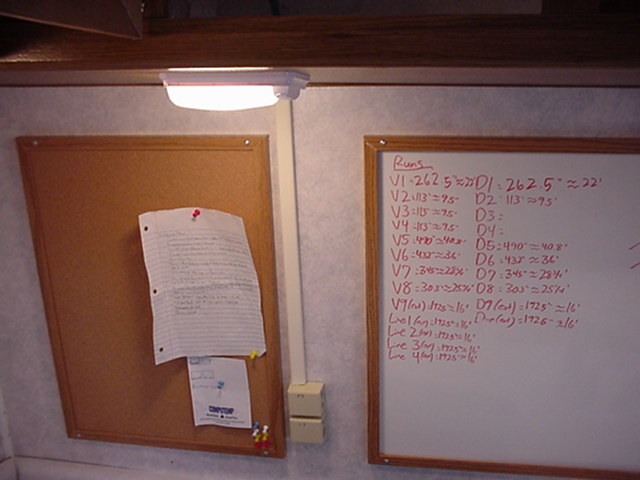 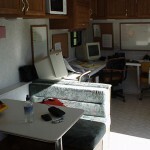 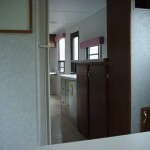 The computers inside the trailer are equipped with software for Word Processing, managing Databases, and creating Spreadsheets. 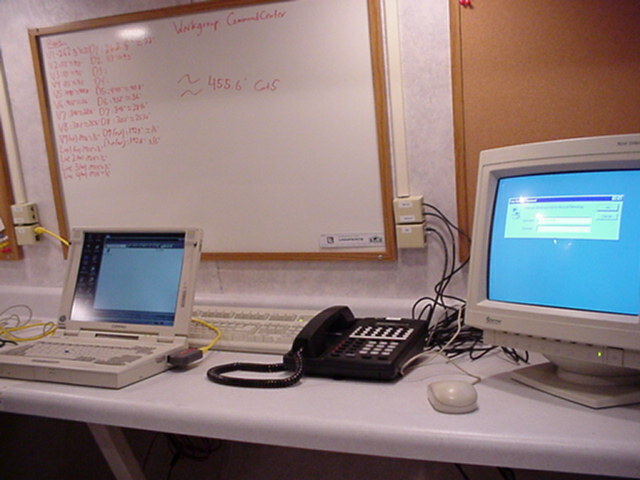 Some computers are equipped with MODEMs, so even if a hard-wired connection to the Internet is not available, a standard Internet Service Provider can be used to provide Internet-access to the Command Center. 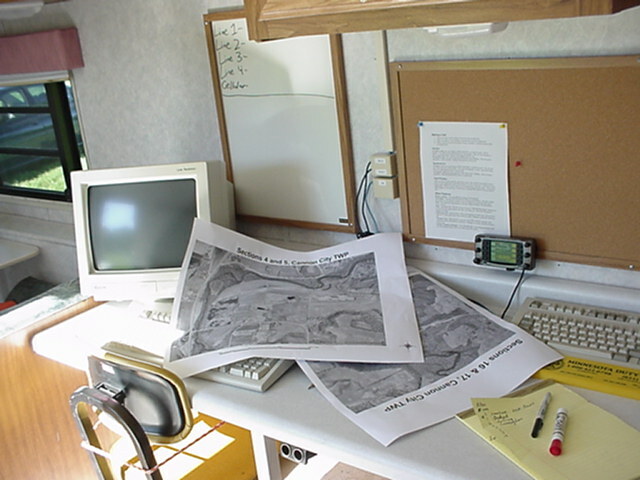 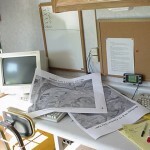 Computers can be equipped with an Amateur Radio “APRS” system, which provides the ability to track vehicles or people using GPS and Wireless technology.